Stock product - detailed vector illustration - Isometric Elements Collection - Mine Cubes 04 - created by Aurielaki. Image formats EPS AI JPG. SKU: Mine-Cubes-04-Elements-Isometric-AurielAki. Category: Game Icons. 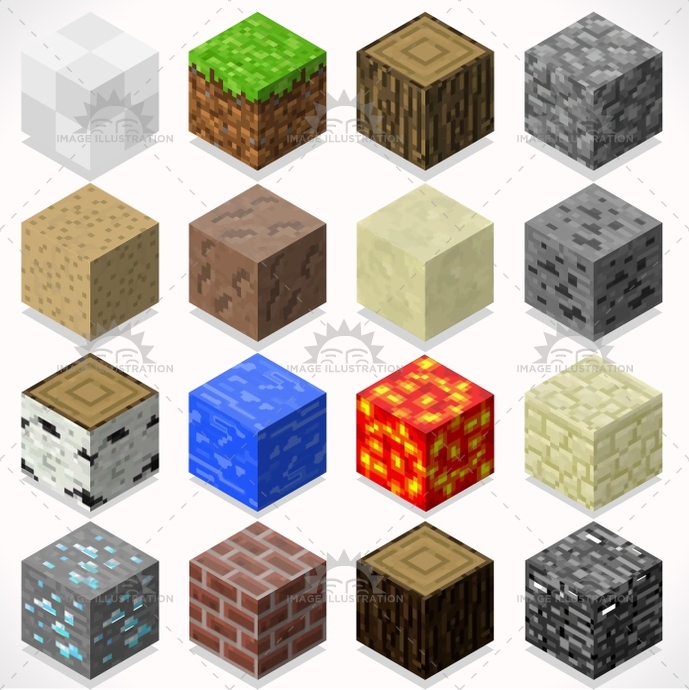 Tags: 3d, adventure, app, blocks, box, brick, build, case, cement, clump, coal, collection, craft, creative, cube, element, flat, game, grass, gravel, ground, ice, illustration, iron, isolated, isometric, kit, lava, log, mega, mine, modular, resource, rock, sand, shingle, starter, stylish, teen, template, textured, tiles, trunk, vector, web, wood, world.